We've seen beautiful photographs, like those above, of the Northern and Southern lights. 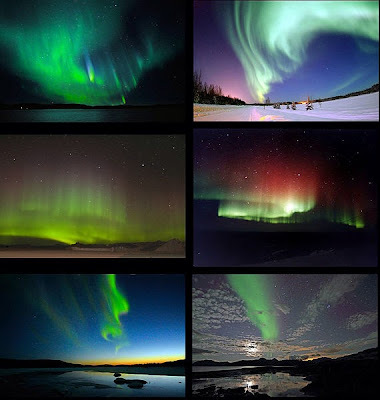 And some of us have seen in person the Aurora Borealis (I have, from an airplane on my way to Seattle) and the Aurora Australis. But how about a view of the latter from space, animated, compliments of NASA?